Rosalind will do anything for her loved ones. Unfortunately she isn’t in a position of power or wealth, so she can’t influence the latest decisions that have been made about her family. She’s always taken care of her siblings and didn’t marry because of it. When first her mother passed away they needed her. Now that her stepfather is dead as well, Rosalind’s family is in a dire situation. One she can’t seem to fix, because the law is not on her side. That’s why she had to flee, pretending to be a widow. When she meets Leo she has no idea she’s dealing with another member of the ton. Members of society have made things difficult for Rosalind as long as she can remember and the last thing she wants is spending time with another one. Can Leo convince her he’s different? Leo already has a family, so remarrying isn’t on his agenda. When he meets Rosalind, he’s found the perfect solution. She’s a widow and they can spend time together without any further commitment. However Leo has no idea the lovely Rosalind has never been married and is keeping secrets from everyone in her new surroundings. What will happen when the truth comes to light? Is it possible to forget the fascinating woman when there’s such a strong connection and what will Leo do when he discovers Rosalind’s true identity? Cinderella and the Duke is a wonderful romantic story. I loved Rosalind, she’s strong, caring, smart and independent. I admired her fierce and gentle personality, she’s such a good sister and she’s a great friend. I kept hoping she’d find some happiness in her life for herself as well. She’s always looking after the future and fortune of others, but deserves something worthwhile for herself more than anyone. Finding out if Leo would give this to her kept me glued to the pages. I loved their chemistry, their easy conversations and the way they both take care of others. They’re a strong match and really suit each other. 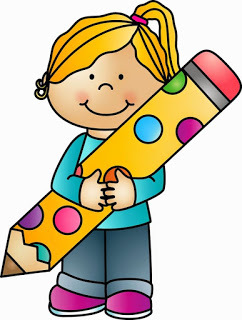 Janice Preston has a terrific heartwarming writing style. She’s fabulous with feelings and I could effortlessly picture what her main characters are going through. 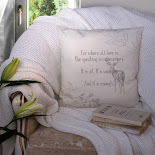 Her vivid descriptions of situations, emotions and surroundings are making her story come to life in an incredible way. I love how vibrant her characters are and how easy it was to become completely absorbed in their story. I fell in love with Cinderella and the Duke from the very first page and highly recommend this amazing enchanting book. Thea and her brother Daniel are close and she thinks she knows everything about him, but then he mysteriously disappears. Thea has no idea where he went and is desperate to hear from him. When a gentleman asks after her brother and offers to help Thea find him, she agrees. Vernon hasn’t felt useful in quite a while, so helping out the glassmaker’s daughter is the exact adventure he needs. He hasn’t counted on Thea’s inventive personality though. Will they be able to work together and find out more about Daniel’s disappearance? Thea and Vernon have to spend a lot of time with each other, they have to make clever plans if they want to uncover the truth. Especially when they stumble upon a mystery that’s greater than just Daniel’s disappearance. Can they become the team they need to be, so they can get to the bottom of the matter? What will happen when sparks fly? They’re from different worlds and only have a short time to get to know each other, will it be enough? Scandal and Miss Markham is a gorgeous story filled with adventure, intrigues and romance. I absolutely loved Thea. Her fiery spirit is fabulous. She does whatever she wants to do and isn’t afraid to follow her heart. She takes risks and that’s exactly the kind of challenge Vernon needs. He’s lost and being useful is a great way to discover what he can do and where his strengths and weaknesses lie. They’re a fantastic match and I kept hoping that nothing would be able to keep them apart, this made me curious enough to read their story in one sitting. 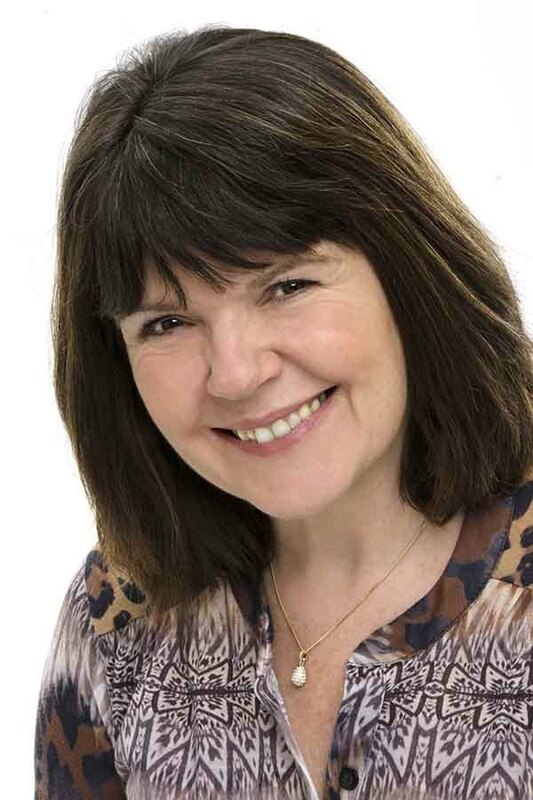 Janice Preston has a wonderful warm writing style. I love how her vivid descriptions are making her story come to life. I could easily picture the dresses, the rules of society, Thea and Vernon’s journey and the tricks and disguises they come up with. It was a lot of fun to be surprised by the many unexpected twists and turns the story provides. Scandal and Miss Markham is entertaining, charming, dynamic and delightful. I absolutely loved this true gem of a book. If you love historical romance you should definitely read Janice Preston’s stories. The Beauchamp Betrothal books can all be read as standalones, but they’re even more wonderful if you read them in their correct order. Real life then got in the way and I didn't write again until 2009. 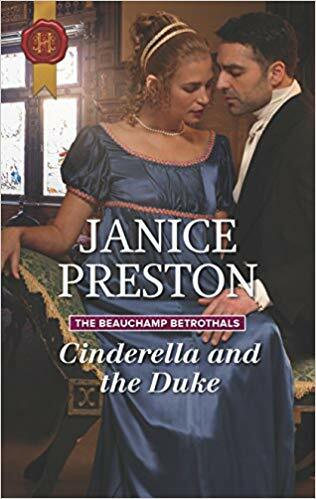 I joined the Romantic Novelists' Association in 2012 and my first Regency romance was accepted for publication by Harlequin Mills and Boon in late 2013. I now live in the West Midlands with my second husband and two cats and I continue to write Regency romances for Harlequin Mills and Boon. 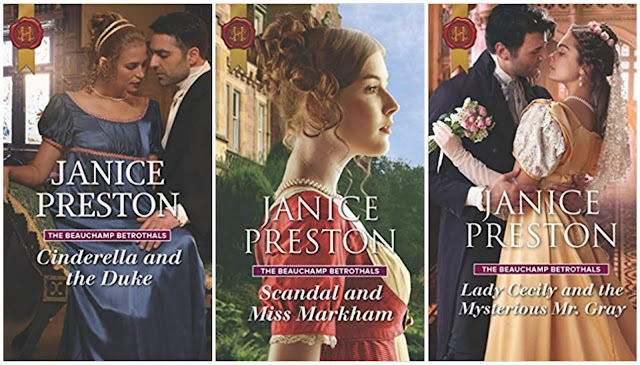 One very lucky reader of With Love for Books will receive digital copies of the first three books in The Beauchamp Betrothals series by Janice Preston: Cinderella and the Duke, Scandal and Miss Markham, Lady Cecily and the Mysterious Mr. Gray. 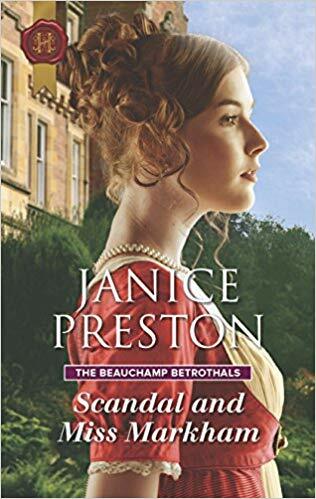 Both books sound like compelling, emotionally charged Regency romances and great additions to The Beauchamp Betrothals series. 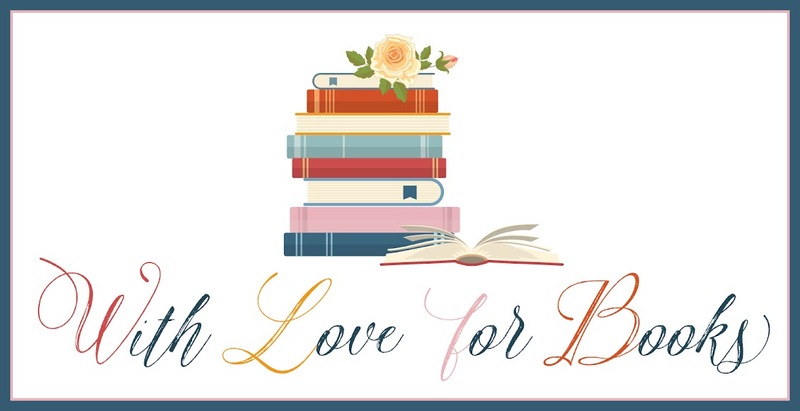 I love historical romances and I would like to read your work. Many thanks for the great reviews! 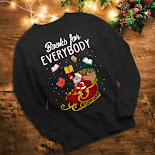 These books sound really enjoyable! You are a new to me author but you also write exactly what I love! Keeping my fingers crossed! Your book covers look amazing! Wow, they sound amazing. Interesting to read that you live on a farm, so it must be hard not to write about farm life instead. Definitely an author I will look out for. It sounds beautiful story. I'm planning to read more romances and historical romance seems a good idea. Thank you for the review and giveaway.